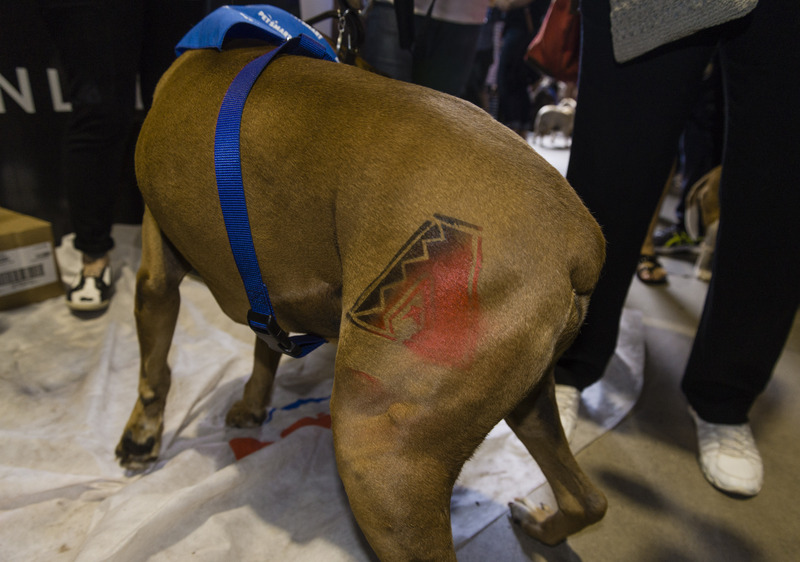 858 dogs paraded, gobbled treats and took in some baseball at Chase Field as PetSmart, the Arizona Diamondbacks and Central Garden & Pet attempted to set a GUINNESS WORLD RECORDS title for the Most Dogs Attending a Sporting Event. 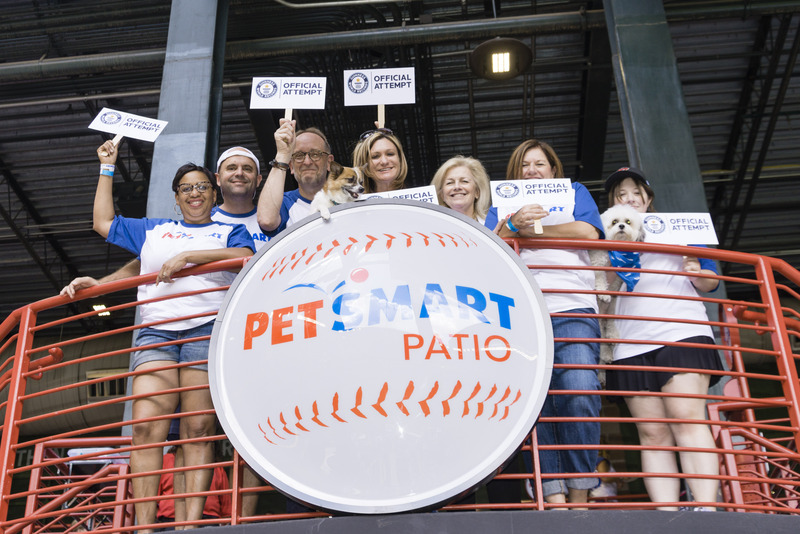 On Sunday, May 1st, exactly 858 dogs paraded, gobbled treats and took in some baseball at Chase Field as PetSmart, the Arizona Diamondbacks and Central Garden & Pet attempted to set a GUINNESS WORLD RECORDS title for the Most Dogs Attending a Sporting Event. 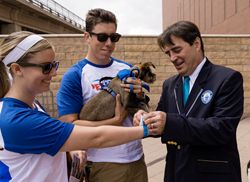 While the group came up short – just 142 dogs shy of the 1,000 dogs needed to set the record – the total number of dogs was more than double previous Bark at the Park events at Chase Field. PetSmart says this feat speaks to pet parents’ enthusiasm for including their best friends in cherished activities, including America’s favorite pastime. According to the GUINNESS WORLD RECORDS organization, this was the first official attempt for this record. A GUINNESS WORLD RECORDS Adjudicator was on hand to account for the dogs entering Chase Field and called the total number at the end of the second inning. 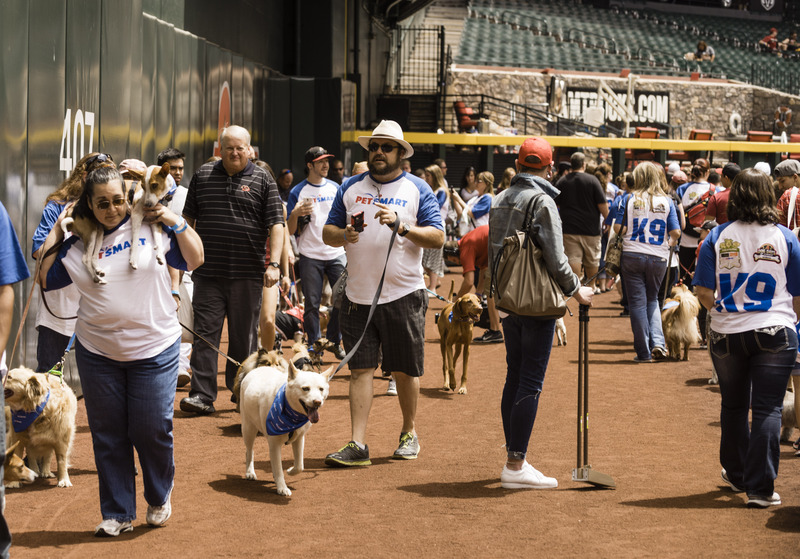 The GUINNESS WORLD RECORDS attempt was heavily aided by the national kick-off of Bark at the Park at Chase Field, a traveling 12 game dog-friendly program where dog-loving fans can bring their best friends to a baseball game at stadiums across America. This year’s Bark at the Park program is hosted by Central Garden & Pet, the parent company of Nylabone® and AvoDerm® Natural Pet Foods, as well as PetSmart. 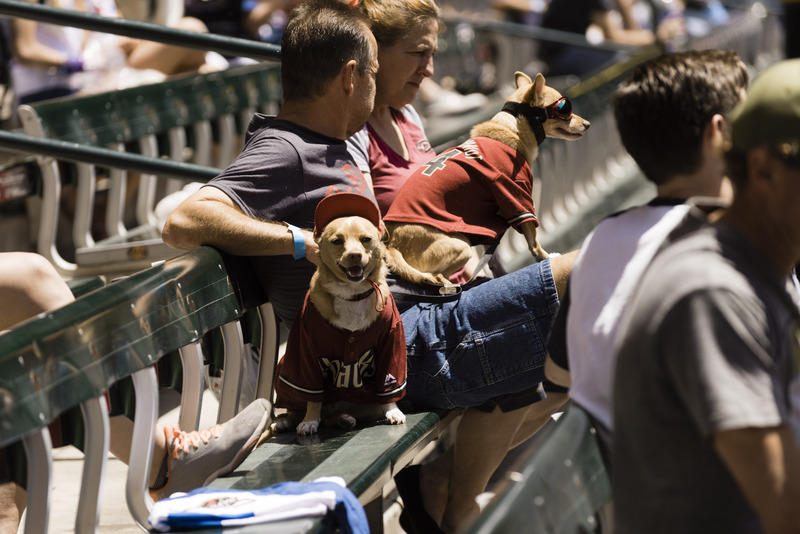 Adoptable dogs are also available at The Adopt Spot by PetSmart at Chase Field, where local animal welfare organizations feature dogs ready to find their forever homes among the D-backs’ fan base. There were 15 adoptable dogs at the world record attempt from the Arizona Animal Welfare League (AAWL); all were included in the count and nine pups were adopted as of the end of the sixth inning. Lucky dog Hyde, who was with the AAWL shelter for more than 200 days, found his forever home. PetSmart, Inc. is the largest specialty pet retailer of services and solutions for the lifetime needs of pets. At PetSmart, we love pets, and we believe pets make us better people. Every day with every connection, PetSmart’s passionate associates help bring pet parents closer to their pets so they can live more fulfilled lives. This mission impacts everything we do for our customers, the way we support our associates, and how we give back to our communities. We employ approximately 53,000 associates, operate approximately 1,433 pet stores in the United States, Canada and Puerto Rico and approximately 202 in-store PetSmart® PetsHotel® dog and cat boarding facilities. Through our in-store pet adoption partnership with independent nonprofit organizations, PetSmart Charities™ and PetSmart Charities™ of Canada, PetSmart helps to save the lives of more than 450,000 homeless pets each year. In addition, PetSmart supports organizations that make communities a better place to call home through our philanthropy program, PetSmart Gives Back™. By giving back to the communities where we live and work, PetSmart not only celebrates the power of pets to enrich people's lives—we live it.